Isolated vertigo following lesions to the nucleus prepositus hypoglossi is extremely rare. Herein, we report a patient who presented with isolated central acute vestibular syndrome. Magnetic resonance imaging (MRI) revealed acute infarction involving the isolated nucleus prepositus hypoglossi in the dorsal medial medulla oblongata and pons. The case illustrates that isolated acute vestibular syndrome can be caused by a rare nucleus prepositus hypoglossi infarction. 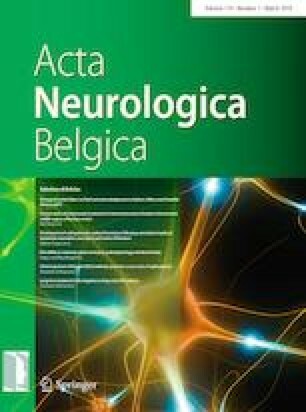 The authors thank the staff of neurological 1, Peng Wang, Shanshan Liu, Du Cheng, Xiaorui Tian and Kui Li for case discussion, Longnv Luo for her assistance in preparation of the manuscript. We declare that the research was conducted in the absence of any commercial or financial relationships that could be construed as a potential conflict of interest. In addition, the consent was obtained from the patient for the publication of this case report.